Our next meeting will take place on Saturday 22nd September, at Blackrock Castle Observatory, starting at 8.00pm. The talk is by Dr. Tom Moore, a senior lecturer in the Department of Biochemistry at UCC, and will examine the topic of academic freedom. 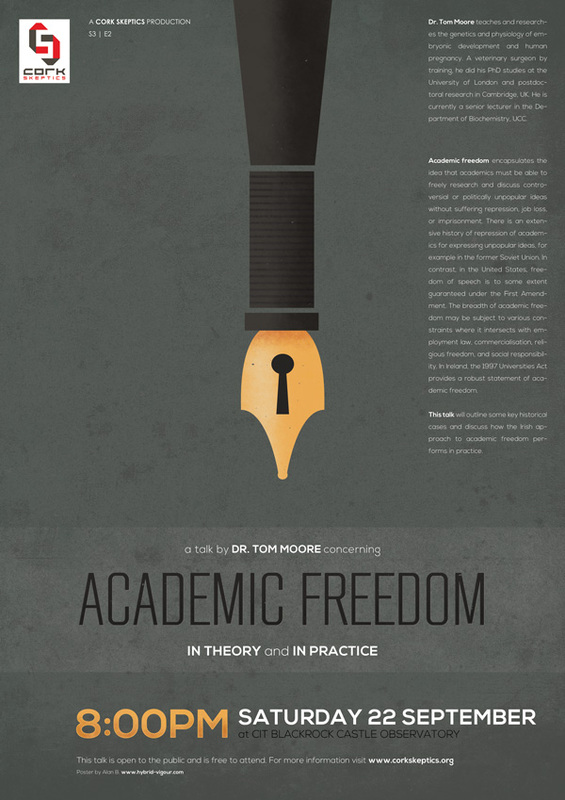 Academic freedom encapsulates the idea that academics must be able to freely research and discuss controversial or politically unpopular ideas without suffering repression, job loss, or imprisonment. There is an extensive history of repression of academics for expressing unpopular ideas, for example in the former Soviet Union. In contrast, in the United States, freedom of speech is to some extent guaranteed under the First Amendment. The breadth of academic freedom may be subject to various constraints where it intersects with employment law, commercialisation, religious freedom, and social responsibility. In Ireland, the 1997 Universities Act provides a robust statement of academic freedom. This talk will outline some key historical cases and discuss how the Irish approach to academic freedom performs in practice. Dr. Tom Moore teaches and researches the genetics and physiology of embryonic development and human pregnancy. A veterinary surgeon by training, he did his PhD studies at the University of London and postdoctoral research in Cambridge, UK. He is currently a senior lecturer in the Department of Biochemistry, UCC. 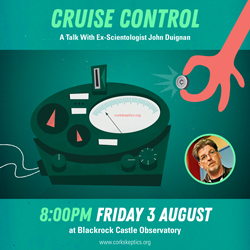 Categories: Academia, Events, Science, Skepticism, Skeptics In The Castle, Woo | Tags: academia, academic freedom, blackrock castle observatory, controversy, cork, freedom of speech, history, ireland, law, politics, poster, religion, repression, research, science, skeptic, skeptics in the pub, social, sociology, talk | Permalink.